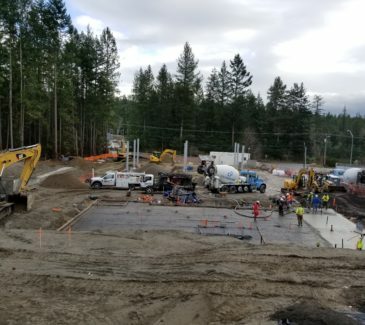 AEC was contracted by Core States Construction to perform the fuel tank and system installation for a new BP Arco ground up gas station and convenience store in Poulsbo, Washington. 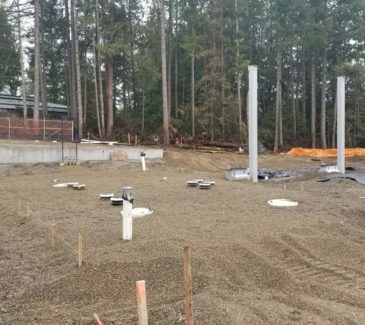 We were selected due to our ability to provide the best value to the client and the owner, as well as our impeccable safety practices and ability to conform to and exceed the high standards set by the client and owner. Prior to commencing construction, AEC aided in the design of the project and the tank excavation area and means. 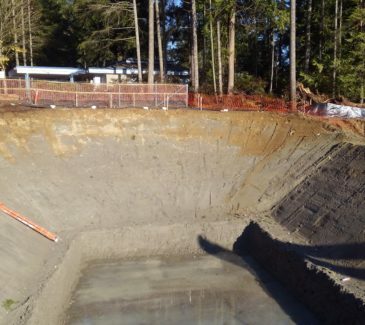 AEC’s scope of work included the excavation of the tank hole. During the development of the project, AEC determined it would be advantageous to create a sloped excavation rather than a straight excavation with shoring. Using excavators, AEC dug hole to 17’ bgs at a 1:1 ratio on the East, West, and South facing slopes, and a 1.5:1 ratio on the North facing slope. 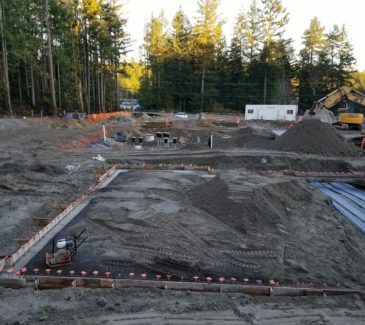 The sloped excavation was proposed to the client in lieu of shoring. Excavation was delineated with barricades and fencing. 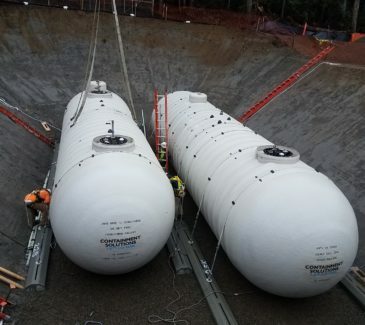 The new ___ tanks were lifted and placed into the excavations using a 5800 crane. 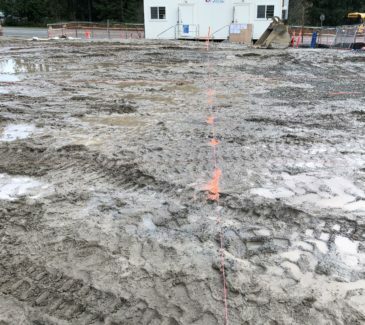 Crews also dug the fuel and electrical trenches and provided clean backfill for the trenches and the excavation. 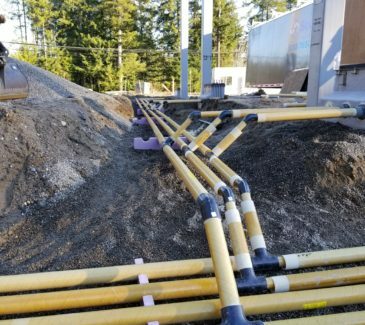 We performed the installation of electrical components, risers, FRP sumps, STP, Fill Vapor Spill Buckets, 12” and 18” CNI Manholes, overfill prevention valve drop tube, and extractor fittings, as well as managing the calibration of the dispensers and petroleum electrical installation.